AnyBurn is a compact yet efficient audio/video player that allows you to burn CDs, DVDs and Blu-ray discs with ease. The program is compatible with all popular image file formats, including DAA, MDF, ISO, MDS, BIN, NRG, IMG, CDI, UIF, and WIM, among others. The multimedia application supports video, audio, as well as ISO file ripping and burning. In addition to ripping and burning multiple videos, the free disc burner lets you create audio CDs from WAV, APE, MP3, FLAC and WMA formats. You can also rip the tracks of any audio CD and save them into any format as per your choice. The Windows software has an intuitive and user-friendly interface that comes with basic configurable settings. You can browse, edit, create and extract various contents of ISO files. On top of that, the latest version of AnyBurn allows you to create an image file from a disc and convert it to ISO or BIN/CUE. AnyBurn for Windows enables you to burn an image to disc by selecting the speed and burning drive. Moreover, you can easily eject the disc after burning. You can also directly burn discs by selecting files and folders. What’s more, the application lets you erase rewritable discs and create bootable USB drives. The CD burning tool also allows you to copy a disc using sector-by-sector method. You can even view useful information about a disc or a drive. Download AnyBurn to start burning CDs, DVDs and Blu-ray discs without any difficulty. 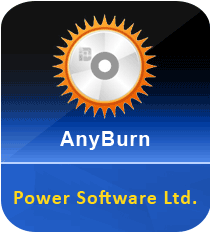 AnyBurn is a professional CD/DVD/Blu-ray burning tool that enables you to create numerous disc images and media compilations. The software is compatible with all recordable DVD, CD, BD and with a number of disc image file formats. It offers a free and complete solution for burning. The utility is lightweight, easy-to-use and has a simple UI that can be accessed by all users.